More and more I’m getting questions from people who are looking to purchase a portable amplifier and are confused over the choices available in the market. 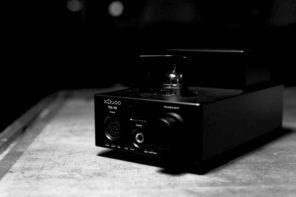 Indeed the selection of portable amps has increased tremendously, and unless you happen to own all of them, it’s a bit hard to decide which is the most suitable amplifier for you. With the generous contributions of my friends Peter and Sem, I am able to throw a big round-up of twelve of the “usual suspects” when it comes to hunting for a new portable amp. It helps that I’ve written reviews about them before, but still, I wish I wouldn’t have to write another one like at least in another 365 days. What sound signature are you looking for? Since those questions help tremendously in the process of selecting an amp, I would approach this article with the same method. For instance, if you don’t use big headphones, then I can recommend the tiny amps. 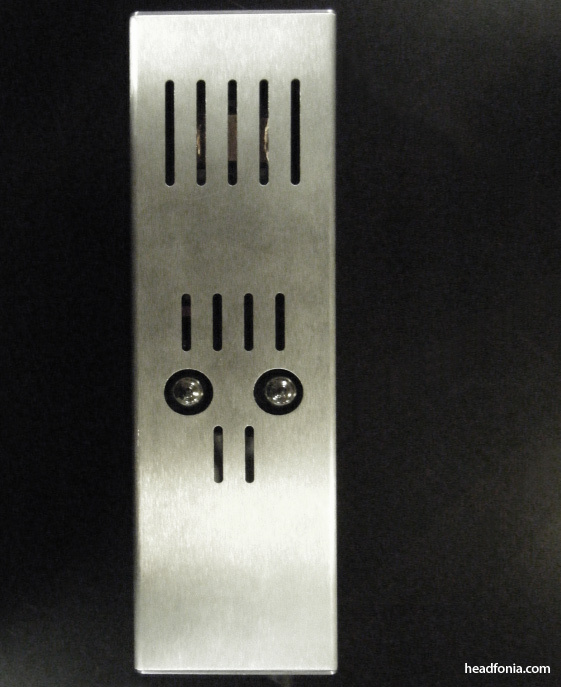 If you are allergic of treble, and more into a darker and laid back sound, then I would recommend the RSA amplifiers. The RSA amplifiers happen to maintain a similar house sound that makes it easy to put them into a box and label them as the “RSA house sound”. However, keep in mind that even among the amps in the RSA box, each would have slight differences in the sound. For instance, Peter consider the Mustang as his favorite #1 amp for vocals. To me, the SR-71A is the best RSA due to the resolution and bass impact I get from that amp. Since I wouldn’t know what your priorities are, I would never be able to give an exact pin-point recommendation that will guarantee you to be happy 100%. What I do know is that the average user will often go through several sets of amps before being able to settle with their one favorite amp. Similar to how automobiles are divided into subcategories such as SUVs, Sedans, or Roadsters, I will start by dividing the amplifiers into four sub-categories to act as a pre-filter for your search. These amps are put into one category simply based on their tiny size. These are great amps if you’re mostly an IEM user since two of the amps here are designed primarily for IEMs, though the Mustang can also drive bigger headphones quite well. If you need to be really mobile, or you have too much gadget already on your pockets, or you’re exercising in the gym, then a small player like the Sansa Clip or the Ipod Nano would be a nice set up to use. 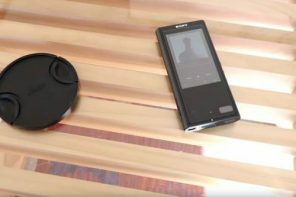 The slim amps roughly have a footprint that is similar to the footprint of a standard Ipod, but their thin size made them a good companion to use on the road. Power levels are mostly higher than the tiny amps, so if you are looking to drive big headphones while still wanting to keep the dimension manageable for the pocket, then these amps are the way to go. These has been all the rage lately, to bring fully balanced amplification to the portable realm. The move was first pioneered by RSA with the Protector, and soon followed by Ibasso. The portable balanced amps has now entered the second generation models, with the Ibasso PB-2 and the RSA SR-71B offering larger power levels and improved performance over the first generation. These big single ended amps have the potential to deliver the most sound, simply because they get a much larger enclosure to stuff the parts and batteries. Aside from the Stepdance which is quite a recent release, the SR-71A and the i-Qube can be considered as “relics of the past”. Indeed most people looking to purchase an amplifier shudder at the thought of having to carry these amps, as the tiny and the slim amps are quite capable of delivering quite a solid sound. Mike! Can’t believe I am the first to comment. 😛 I haven’t logged in yet, but this oughta be one of the more comprehensive recent portable amp reviews I’ve seen! 🙂 Will give it a good read. Beautiful and comprehensive review. Thank you, Mike! Thanks for the great write up, Mike. Reading this and Skylab’s 56 portable amps compared thread on Head-fi is really eye opening. It shows just how subjective picking a sound signature is going to be for people. Do you have any plans to review cheaper portable amps? Yea, there are a lot of cheaper amps out there. One of the reason I am limiting this article to the more premium models is so that the number won’t go out of proportions. Not that I am against cheaper stuff though. Let’s see if anything interesting comes up in the future. Just because something is more affordable doesn’t mean that it’s going to be worth buying, and I don’t want to do an article on crappy products. I’m talking to JDSLabs about reviewing their Cmoys. I think that should be a good article. JDSLabs Cmoy is on the way. A lot of my friends build Cmoys and I can always review those, but no point since they aren’t available to purchase commercially. On the other hand, the JDSLabs Cmoy can be bought fully assembled, and good build quality too! Actually, I’ve listened to so many different Cmoys, and I have yet to find one that sounds bad. Resolution is a bit limited, but for mainstream music you probably won’t be too bothered by it. Just a quick comment, it would really help if you had a metric scale reference in your pictures. I will try to update the pictures. Thanks for the excellent suggestion. The pictures are now updated with 1cm x 1cm grids. It won’t tell you to the last millimeters how big the amps are, but it’ll help you get a rough sense of how they size. i’m baffled to see your 8006 words. Impressive roundups. I’m planning on getting HD600 soon. What would be the best option ? I don’t need the slimness/tiniest feature of the amp. I need a good solid either amp or DAC-amp. I’m using mac. So far, you suggest me with yulong u100, but i’m a bit worried with the MAC incompatibility. Other than that, i’m looking at either ibasso PB2/DB1 or ALO Rx MkII/HRT MS2 to start with. USB cable and you have a great portable amp. interconnect from the DACs to the Amps. I prefer simpler set ups. DAC than the PCM270X based DAC of the TTVJ. i’ve finally settled on the amp/dac. I went with DB-2/PB-2 combo. Awesome. What headphones will you be using it with? I’ll be using this with ATH AD700, HD555 and HD280pro for now. i’ll be gunning for the HD600 soon. currently i’m saving up for it. Unless you have better suggestion. AKG 702 perhaps? or maybe HD 25-1? I need something dark that can also be all rounder to counter the treble happy ibasso i think. Another thing i’m worried about is comfort. I’m really happy with my HD555 comfort level since the cups didn’t touch my ear too much unlike the ATH AD700. HD280pro is clamping on my head so i need to rest once in a while from using it. Go with the HD600. Excellent, reference class, all rounder headphone. read both of them. thanks for the confirmation. question though, why not hd650? If you’ve read the Sennheiser Trio article, then you pretty much know what my thoughts are on the HD600 and the HD650. ibasso told me the db2/pb2 shud ship april 6th-10th. i’ll have to wait till next payday to grab the hd600. Great review, but I was surprised not to see the iBasso T3D, which is 1) much less expensive, 2) very highly regarded, 3) incorporates the digital volume control and 4) is even smaller and easier to use with a portable device. Especially since you review other iBasso products. I’ve compared the RSA Shadow and the T3D, and I preferred the shadow with JH13s. Nevertheless, I found the differences to be very minute, and the $200 savings was used towards a small desktop unit that’s far better than both. I heard the Ibasso T3 non D version and was very lukewarm about it. My friend then told me that the D version is just a hair better, and so I didn’t quite have the interest to include it here. However, after what you have said, I will find a T3D to listen to. You are quite a monster indeed! Cool, thanks – I’d love to hear your thoughts. I’d imagine the T3D wouldn’t be up to the picoslim, but I’d wonder how far off it’d be. 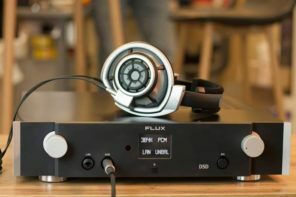 The interesting thing is that on Head-fi, it seems like a lot of people think the PicoSlim has too much bass for the JH16. But since the JH13 has a bit less to begin with, it might make a perfect match. I’ve been waiting for this article for so long, great job! I’m just going to assume the DACport beats all of those. you dont make those portable balanced amps sound very appealing. are they worth it? if imaging is off wouldnt that ruin the entire musical presentation? 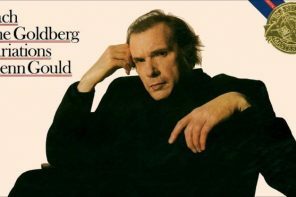 It depends on the music and the recording. If I am listening to say Prodigy, Coldplay, Kanye, or even John Mayer, most of these mainstream music are recorded in the studio anyway and there is never a proper imaging in the recordings to begin with. Then for these music, I would say that the innacurate imaging is not a big deal. But wih the balanced amps, you do get more bass, bigger soundstage and those are audible improvements. If you are listening to live jazz, classical, then the imaging aspect is going to be more important. Mike, Epic-epic review! You’ve hit every amp that I have considered buying over the years. Well done. Great review! I’m curious on where you would put the Fiio e7 with klipsch custom-3 and ath-m50. I’m not a bassbead but do like punchy lows but not at the expense of mids and highs. My musical leanings are toward rock ranging from Pink Floyd and Linkin Park. The E7’s amp probably can’t be compared to the line up here. But if you want punchy lows, go for the HD25-1, or wait for my Pro700 Mk2 review. The M-50 has decent bass, but it doesnt punch hard enough. For the lack of budget for these great amps, my set up is also with E7/E9 and ATH-M50S. Music range from Classical/Jazz to Rock. Yeah, the E7/E9 is great. what matters is that you’re enjoying the music. 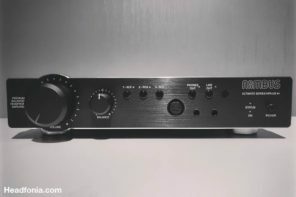 It is not included here and for some reason does not have any reviews but it is one of the VERY BEST amps out there – Leckerton UHA-4, PLUS it is also a DAC!!! Easily matches if not bests the TTVJ Slim and slaughters it on price and betters it on size (its shorter) PLUS it has Low and High Gain, Cross-feed AND DIGITAL VOLUME CONTROL! Fantastic amp! LECKERTON UHA-4! Thanks, man.. I will look into the Leckerton. Gosh there are just too many amps these days. Hi Mike, it’s me again. First of all I want to say I greatly appreciate your recommendation about the HD25-1. I’ve never thought that my listening habit would change just because of that phones. Nowadays, I’m more into Rap, Hiphop, RnB and while the HD25-1 is very at representing the music, I still think that it does not hit as low and the bass texture is not as clear as I would like. So which portable amps you would recommend for the HD25-1? I like the slimness of the Arrow but I’m just wonder if it’s powerful enough for bigger phones like the HD650 as I’m planning to get one. The Arrow is good, but if you are looking for bottom end impact I think the ALO Rx does it better. Both amps have plenty of power for the HD650. Regarding bass texture, I think you may need to change headphones. I find the Pro700 Mk2 and Meier Stepdance combo to give a very impressive bass punch, kick, impact, slam, and still great texture. I am in the process of writing a review on the Pro700. Wait until it is published and see if whay you need is a new cans. The Pro700 doesn’t do so well unamped tho. Hi Mike, thanks for the nice review. I just have one question. Which version of the Headstage Arrow did you use for this review? As far as I know there are three versions of the Arrow amps and I think there were some changes affecting the treble of the amp. I think it’s the 2.2G Version. wow this is gotta be the best review of portable amplifiers overall. The quality images raise the bar of this review even more. It would be nice however if you would photograph and compare amp size against an iPhone for example so you get the feeling how big it is or put measurements next to the amps on the photos. You are so right. I probably should’ve put an Iphone 4 in there so that people can get a good comparison of the look. Anyway, I’m updating the images to have metric grids in there so you can get a rough measurement of how big the amps are. Images should be up soon. I think the Stepdance would cover the range better. You won’t get enough voltage swing with the Pico Slim and K701 with Classical music. i just received the stepdance and i’m really really happy, best amp ever, for me of course. Superb! Glad to hear that! Wow excellent round up, after reading this and many other portable amp guides I’m still stuck between the RSA P-51 MUSTANG and the newly released Meier StepDance, I’ll be using an iMod 5.5gen 250gb rockboxed through ALO jumbo cyro dock as the source and with Vsonic GR07s and sometimes DT990 (600). I really do enjoy my mid ranges and I hear the RSA is much better on that regard however the Meier StepDance is ranked higher in general purely based on sound quality although your review does not seem to reflect that standpoint. 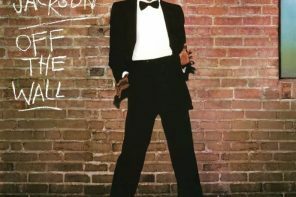 I mostly listen to classic instrumentals, pop and ballads. The DT990 and the Stepdance is going to be one bright and dry combination. I personally won’t recommend that. The Mustang will be better, or even more, go for the TTVJ Slim, RSA SR-71A, or Headstage Arrow. Those all will be a better pairing for the DT990. The Stepdance is a good amp with good detail and articulation. But the sound is quite dry with no mid and low body. Indeed a great and comprehensive review! Thanks for the effort! wow this is a great great review, one of the best, informative and detailed review of amps ive read online. great job. Hi Mike, I’m really interested in the Arrow amp. Do you think it would work well with two different headphones with different impedance(obviously)? like…dt880 pro and jh5-pro? Thanks in advance. I think it shouldn’t have any problem with the DT880 and the JH5. uh…my bad…i mean can I plug in the two simultaneously for something like A-B…would that work? don’t notice any changes in the sound. Hi, John nice review. I’m thinking about getting the SR71A or the TTVJ, but before I commit I was wondering if you could do a review on the Zenhead from Decware. I been hearing a lot of good things about this portable amplifier but I haven’t seen any good reviews on it. Sorry, I meant to say Mike not John. The Zenhead looks like a good amp, but I can’t promise you a review of it. Could you briefly describe how these portable amps provide an advantage over using the headphone out straight from the HM-602? Dying to know, thanks! Jon, the first and most important thing you will notice is that adding a separate amp will improve the bass impact simply due to the more powerful amplifier section compared to the built-in HM601/2 amp. This will often raise the PRaT level as well, making the music more fun, engaging, and more toe-tapping. The amps will also bring their own sound signatures into the game. Often they also improve things like soundstage and instrument separation. Hey Mike, great work. I was wondering what happened to the Warbler? Is that incoming? postponing the article for a little too long. Haha well that answers my PS from the email I sent you, thanks for the review! Thanks so much Mike for a wonderful review! Was really enjoyable reading. I own a Stepdance Amp and you very exact describe my feelings about it. This dryness bothering me quite a lot not giving me to enjoy my listening. Since I trust your ears, I’d like to ask you what you would recommend for me to get with a same great clarity but with nice lush mids? You really make me think about TTVJ amp but I’m a bit afraid to have too tubie sound then. For example my friend have a Sen.600 and he pairing it with a RSA Predator which is good match since Ray designing all his amps around them. 600s being neutral gets more musicality from Predator. But when I plug my Beyers 880 in Predy the sound I’m getting is too dark and bright for my ears. So it’s no go for me. But I didn’t try other RSA amps. May be they are different for Predator. So I’m looking for something with balanced sound, nice sound stage and instrument separation, portable enough but still able to drive at list 300 ohm cans. Stepdance with a TTVJ mids in one body 🙂 Sounds utopic? 🙂 Please recommend me something. There is some nice amps around too, like Pico Amp, not Slim, which you probably tried but I’m not. I will consider them too. Eager to hear your opinion. DT880 on the Predator, you are hearing it to be too dark and bright? too dark and too bright at the same time. If you try to explain it better, then I might be able to get a better idea. I thing here is my bad understanding of what is dark, bright sound is. But I meant they goes bright in mids toward to lows (lowmids) range, if I can say like that. Not in mids and mid-highs section. Anyway, my point is that Predator coloring headphones in a way that it’s nicely suit 600s but not Beyers since 880s not neutral to my ears like Sehns. So Predator overcoloring them to my taste. Stepdance is really great Amp but recessed mids and midhighs even with 880s known as bright cans makes me thing for alternatives. stay away from RSA amps, as they carry mostly the same signature. how good the pairing will be. it hard to make that recommendation. tailored precisely to what you want. Yes, I think that would be a good recommendation for you. Thanks so much for your answer. Really appreciate your recommendation. One more question if you don’t mind. I got Stepdance with an idea to have it as portable and desktop amp. Might be that was my mistake. Should I just get nice desktop amp which will suit my big headphones (Beyers 880s 250 and 600 Ohm., Koss 4x) and for IEMs portable one? As I said you very well describe Stepdance. I’m looking for sound signature which is will looks like Stepdance but TTVJ Slimslike midrange. My preferences in music mostly jazz, classical, blues, hard rock, some metal and alternative rock. I think PB-2 will drive big cans and IEMs with no problem but I just don’t know what sound signature it have. I had D2 Boa from iBasso. Is their amps share the same signature as well, like RSA amps? soundstage, but TTVJ Slim midrange? op-amp rolling, so that will help you to get the signature that you want. Alright I will try PB-2 then. Thanks Mike. Why did you miss out UHA-4? Sorry Vladimer, no particular reason. There are a lot of portable amps these days and I can’t possibly cover them all. I will do a review on the AHA12 perhaphs next month. The UHA 4 would definitly be worth looking into ;). Love the sound signature. Very smooth, beautiful mids. A hint of warmness yet it retains it retains neutrality. Seems people are enjoying even the HD650 with this amp, and I bet with the UHA 6 would be a dream as it supply much more power with the same sound signature. Awesome article! This has quickly become one of my favorite sites. I probably would not bother with amping the Hd25-1. It benefits very little, it seems, from portable amps, and it is good just as it is from an Ipod. Well, let me know if you still find the HD25 to be lacking after you listen to it. Ok, so I decided to do some testing myself, and I’m trying my JH13s with the iBasso PB1, the RSA Shadow, and the HeadAmp Pico Slim (along with my desktop unit, the Audio-gd Sparrow 8471). My conclusions so far agree with yours, except I would rate the Slim much higher than the Shadow across the board. My question is this: for JH13 ALONE, impedance of 28 Ohms, no other headphones — is the Pico Slim actually going to be better than a decent desktop amp? Say, that of the NuForce HDP or something comparable? Obviously, the desktop would have lots more power, but would it be any better? In at least one respect – the digital volume pot – I’m guessing it would usually be worse. Any thoughts? I think it does. I hsve tried the JH16 from the Gilmore lite, comparing it with the picoslim, and i think the pico slim still gives better articulation on the bass. The Gilmore had more bass quantity though. Wow, this has been a very helpful article and you’ve been great answering people’s questions, too! I’d like your advice, too, if you have a moment. I’m looking to upgrade my slim amp up from the ibasso T3 for my Future Sonics MG6Pro customs and FS MG7 Atrio universals. For the customs, I just want something that has a bit of warmth in the mids and excellent extension below and above to make the most out of their abilities. The universals need a bit more helps as they have a bit of a hump in the lower treble. They need an amp which has a treble that doesn’t focus on the lower treble and lose prominence in the higher treble range. I was thinking of the ttvj slim, but I’m concerned based on your review. It sounds like they don’t really extend very well in the bass (focusing in the upper/mid bass and lacking in the sub-bass) or in the treble (with emphasis in the lower-treble). Plus the bass is muddy. Have I gotten the right impression? I’m trying to avoid carrying around something larger than about ttvj slim-size, but is there a better option? Yep, I think you got my impressions on the TTVJ slim correctly. non-rechargeable dual 9V batteries though. Oh, and it’s also dark sounding. you may have to go with an EQ to get things precisely like you want it. How do you find the T3 sounds in terms of frequency balance? Okay, well, I’m glad I’m reading your impressions correctly. Thanks for the help. I find that the T3 is warm in the mids, not so clear and doesn’t do so well at extension of either bass or treble. It was okay with an older iem that had great treble extension but was a bit harsh in the highs, but didn’t pair well at all with the aforementioned Atrios–the lower treble sounded bloated without much above it. I don’t want a repeat of that! A little bit of extra lower treble and mid-bass is okay, but there needs to be something substantial above and below to balance it. Instead of warm mids, let’s go with something that has great PRaT, clarity and spaciousness. So, we can forget the warm mids (but nothing too boring, please!) and go with clarity, space and extension above and below. Maybe the ALO Rx is the way to go. What do you think? It’s a solid $100 over the ttvj slim, of course. I’m using this amp for a commute, so I think rechargeable batteries are a must. I’ve heard great things about the Just Audio uHA-120 in terms of a balanced mid and very good bass and treble extension. Even though a 1″ tall (a bit big compared to the slim amps), maybe I should go for it. Or, if there’s something else, please let me know. Any comments are welcome, thanks again. just they are not the typical warm-mid sounding amp. Interesting article. I’m just about to look around for a cheaper portable headphone amp + DAC combo. Keywords, cheaper as this is going to be used daily and will not be babied. I have always wanted to try the Headroom’s Total Bithead and recently, the price has dropped quite a bit to around $150. Good deal when compared to some of the amps that you have reviewed here. Was just wondering what your thoughts are on this amp? Musical genre: Classical (Symphonies, Piano and Violin Concertos, Piano Solo), Jazz vocal. Acoustic instruments. Sorry..one more point to my above question, I’m not married to Headroom. Please feel free to suggest any other amps (and it doesn’t have to be that portable) that is great bang for the buck, great sound for a reasonable price. Many thanks in advance! recommend the JDSLabs Cmoy for ~$60. that you’ve asked for it, I’m sending them an email to review it). well for Classical, Jazz vocal and acoustic instruments. Many thanks Mike! I will definitely check out the Cmoy. The only problem is, it doesn’t contain a DAC as well. Going through your site more, I’m getting intrigued by the Yulong U100 as well as the UberMuzik’s tube DAC/amp. Any thoughts on either for my collection of headphones as well as my musical tastes? The Uber Muzik has a sweeter midrange (good for Jazz, Vocals) but the Yulong is more detailed and has a better bass impact (good for symphonies). The Yulong is glitchy on OSX though, so unless you’re using Windows I wouldn’t recommend it. People seem to be enjoying the Hd650 with the UHA 4 and that pretty amazing considering it’s Leckertons mini amp. You could opt for the UHA 6 which would supply you with a lot more power and still have that amazing sound people seem to be enjoying with the HD650. I love my IE7/IE8 combo with the UHA 4, very smooth and dynamic. Thanks for the input. I really should give this Leckerton amp a try. If you do try it out let me know what you think. I’m also on headfi if you care to drop by the UHA 4 thread. Thanks. I will send them an email and see if they’ll send me a sample. Great article. May I ask for impressions of the JH5 paired with a RSA Mustang or TTVJ Slim? And which of the amps would benefit the JH5 more? My favorite amp for the JH customs is the Pico Slim, and that includes the JH5. The TTVJ and the Mustang are good, but I think the Pico Slim works best with the JHs. I have HM-801, do you prefer to pair it with pico slim or buy a GAME amp for JH16? I would just drive it direct from the player. The impressions on the GAME amp was not that good, so I’ll just use the standard amp, unless you are having serious gain problems, then I would get the GAME amp. One box solution is always more practical for mobile set ups. i am very love music, an for my birthday i decided to to upgrade my portable setup. I’ll just hook it direct to the HM-602. I’m working on another amplifier shootout. be just as musical as the more expensive amps. I would have to agree in regards to the SR71A. It was the most musical amp out of the entire crop but was the poorest performer when comboed with a portable source and great headphones like my Edition 8. The TTVJ slim was a noticeably better experience with the colorfly ck4 and edition 8. The sr71a sounded lacking and did almost nothing for it over just using my fuze or CK4 alone. However, the SR71A was much better for desktop amping than the TTVJ slim was via my computer as a source with the edition 8….SIGNIFICANTLY BETTER than pretty much any portable amp I have ever used outside of the SR71B lol! Both are great amps in their own area of expertise. Great job! I really enjoyed reading this. Looking forward to the rest of the article. How about the P51 and uha120 as well? You probably haven’t heard of the uha120, but I guess it’s a downgraded version of the aha120? Last month I listened to the ES10 with the Stepdance Meier and the synergy is very good. I’d recommend that over the warmer sounding RSA or UHA amps. Nice review :). What’s better to partner with a shure se535, pico or rsa in terms of sq and balance? Thanks! If you feel the SE535 has a midrange that is too forward, too glaring, then yes get the Shadow. (this is what I feel about the SE535). If you feel that the SE535 is too warm and needs to be a little livelier, a little lighter, then get the Pico Slim. As you was used UM Mage, please advise me what’s your the best portable amply to pair UM Mage. I am very love vocal & detail. Try the RSA Mustang. The vocal is amazing on that amp. 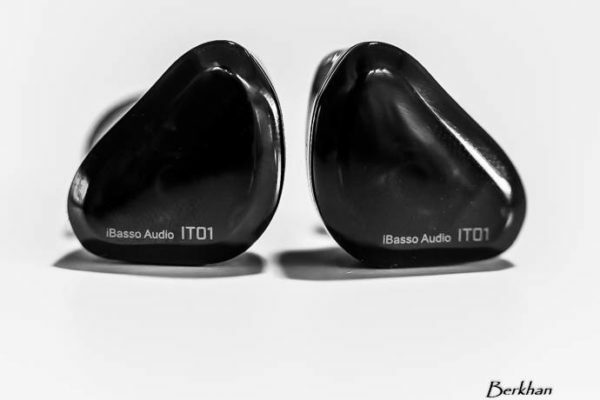 hope you’re doing ibasso in the new shootout. Having tried several of these here with JH13s, and the best is undeniably the Pico Slim, by a margin, I still find the ibasso T3D quite a contender, esp at the price. Honestly Andrew, when I did this article I already had the T3D in possession but I didn’t include it because I thought it was really bad. It had a nice black background due to the digital volume control but the soundstage was very narrow and somewhat collapsed, and the tonal balance was a bit odd though, though it pushes the treble out more than the others so that may be why it sounds good with the JH13. Thanks for the reply. I agree it’s not really comparable to the Pico Slim or the RSA Shadow, both of which I A/B’d (finding the Slim much preferable.) 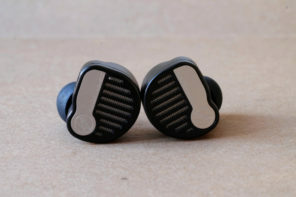 I also agreed with your assessment of the Balanced Amps on IEMs – I tried the PB-1 and was not impressed. iBasso has a brand new model out that looks very promising though – the t5 – at least one respected member of head-fi claims he likes it better than the pico slim, so I’m going to have a look. You might want to do the same. Hi Mike. I’m looking for an amp for my IE8 that’ll sound great with the genres of music I listen to, namely pop, rock and metal. I’m currently looking at the TTVJ slim, RSA Predator and the Pico DAC/Amp. I prefer a somewhat dark, yet refined sound, that has impressive instrumentals, good mids and great bass. I would really appreciate if you could help me out here. Thanks! Sounds like the RSA sound is for you. I don’t know why you shortlisted it to the Predator though. Something smaller like the Shadow would be good, and the digital volume control on the Shadow would give you better bass articulation for your rock and metal stuff. You can also go with the Headstage Arrow. Just purchased a Denon D5000 and connected it to my JDSLabs Cmoy and… I hear distortion!! It seems that the Cmoy cannot actually drive these cans well. At first I thought it was the headphones since I bought them used… But I connected them to my NuForce Icon HDP and they sound great. so questions, have you tried the Denon Dxxxx series and do you think any one of these portable amps go perfect with them??? I am looking to spend this Christmas for a Amplifier / DAC? (not important) to go with a new headphone which I have not finalized yet. 2) I’m a rocker(Avenged Sevenfold) / metal(Bullet For My Valentine) / punk rock(My Chemical Romance) / slow rock(The All-Americans Rejects) / once in a while, trance(Alesso, Le Grande) though very seldom. 3) For a rocker, I enjoy it when blazing fast guitars and thumping drums solos come at me. 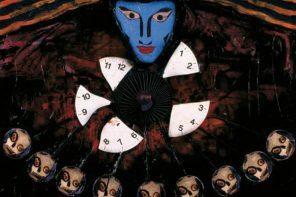 Screams to be controlled and every instruments to be heard(e.g. Separations between guitar 1 / guitar 2 / drum / lead vocal / back-up vocal to be heard clearly. 4) Portable for outdoor use. I do know I’m asking for too much, but I’m just trying to make it clearer so that you can help me better. 🙂 I actually got sick reading up reviews for 1 month now, there are definitely not 100% foolproof headphones at the moment but it is really hard to find 1 just for my taste. Leaning towards MS1i for having better base now. Okay, the budget is $100 or greater. I think you should get the SR-71A. It would rock for the music that you listen to. And it would really rock with the MS1, SR80i, and the HD660 as well. The M50 you can sell as I don’t think it plays your music well. 😉 If you still need a closed headphone then get the HD25-1. Trust me though, the SR71A is still among the best out there. Great information. Thank you. Always trust a professional advice. Hi Mike, will Pico slim sinergized the ACS T1? Thank you. One more question Mike, if I were to choose ttvj slim and headstage arrow for my ACS T1 which one will be? Thank you. But as for sound, hard to say.. the TTVJ is better and bigger sounding. Headstage Arrow or Pico Slim for the ACS T1? Thanks again Mike. Pico Slim was best with the JHs. Not sure about the T1. Thank you very much, it’s very helpful! I am getting the Sony mdr xb1000 for Christmas I hear ppl say the bass in them is less punchier than the 500s so I’m trying to find a good amp for under $100 to increase bass I listen to mostly hip hop any suggestions? Try the Fiio E11 or the Digizoid Zo (I have a review on the Zo coming up). where does the Audinst AMP-HP place? I’d like something single ended that will drive the HE500. I currently have the SR-71A, will this be sufficient or will I need the SR-71B or PB2 or possibly the warbler? Still best to go with a desktop amp for the HE-500. Thanks and appreciate your educated feedback but I’d like to be all portable. 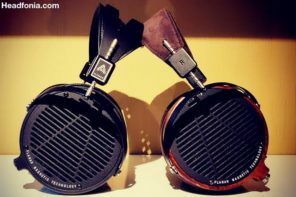 I am about to pull the trigger on the Continental V2 to pair with the HE-500. I’ve been using the HE-500 with the SR-71A and though I like the sound and it drives it just fine, I feel that I am not getting what the HE-500 is capable of. I know that the Continental or I am also considering the MK-II might not bring it to its potential either but I assume it will do a better job than the SR-71A. Any thoughts you can provide would be greatly appreciated. Amps like the SR71-B and Ibasso PB-2 have higher level power output, but I don’t think they make a terribly good pairing with the HE-500 either. Sometimes you just have to go desktop, or find another headphone for your portable set up. Got it. Looks like I’ll sell the HE-500 and hope the HE-400 will work with what I have. Thanks again Mike. Great article as usual. What do you think of Musical Fidelity V-Can or V-Can ii ? Paul. No experience with the V-Cans, sorry. Hi Mike, Just found this site and thoroughly enjoyed the amp review due to it’s relevance to my situation, so here is a poser for you Mike! Q: I have the JH16’s with Twag V2 cable with a iBasso PB1 and basically you wrote what I have been thinking about for a while now with the balanced traits and want to go back with a single ended amp (still porta size) and the ALO or TTVJ sounds promising from what I have read but now I have a Sony Z1000 headphone (an efficient 24ohm’s) which is a slight contrast to the JH16’s low bass reproduction and need an amp that will serve both with out over cooking the JH16’s any further or make the Z1000’s any brighter or bass lighter than they are? I like mids to still be prevalent with a good prat. Not sure if the Pico slim can cover both there or maybe the RX/TTVJ or some thing else? p.s my genres really span across the board; Rock/pop/dance/blues/jazz/OST’s/female vocal. So an amplifier to cover both the Z1000 and the JH16. You don’t want the Z1000 to be brighter or bass lighter. First thing that comes to mind is RSA amps, which are dark sounding and always come with plenty of bass. The Mustang should have plenty of power for your Z1000 and JH16, and it comes with a three level gain switch — so that sounds like a good combo. The Shadow would’ve been more precise sounding for your JH16 but I’m not sure if it has enough impact for the Z1000. The mids on the Mustang is one of the best among all portable amps. The Pico Slim, somehow like the Shadow, very precise but I’m not sure about pairing it to the Z1000. Irony there as before I decided to go balanced it was going to be the Mustang. Just to follow up quickly the only thing I had heard with the JH16’s was maybe the RSA was maybe a bit to dark with it and not the best for getting the treble from the JH16’s, do you see any issues with the 16’s and RSA relationship? The only thing I did like the sound of with say the Shadow (noted shadow might not power Z1000 well enough), Rx or TTVJ was the digital volume control for the benefits that brings, is this such a biggie not having this with say the P51? ….lastly (I know I mentioned about the mids been prevalent) but just out of curiosity how would the RX or TTVJ be with both JH16 and Z1000, would they be good suiter’s for both headphones. And if say the TTVJ was a viable option could I kill two birds with one stone with the built in dac or would the DB1 still be the better option to keep, just would need to get my cables re-terminated to work with the SE amp. To be honest even though smaller the better if possible I will not be using the amp in a pocket on the move, solely for static listening use at home, or when travelling, hotel rooms etc so would not rule out a slightly bigger size for a amp/dac combo if there is one worth considering . Forgot to mention if it makes a difference my portable source currently is the Sony X1060 which is fairly warm sounding even though it has a digital amp powering it. Thanks again Mike, this final round should make things clearer in my head! True on the JH, that’s why I still think that the Pico Slim makes for the best match. However, since you want one amp for both the JH and the Z1000, I tried my best to find a compromise. The Mustang is the least dark sounding amp in RSA’s line up. Yes the digital volume control is good to have, and again you’ll have better articulation with those amps with a digital volume control. I suppose you can get either the TTVJ or the Rx. And yes with the TTVJ you can get the built in DAC option as well, though it’s not going to be as good as the DB1’s DAC. Thank you Mike for the direction in making things a lot clearer, if it was just the JH16’s I would purely try the Pico slim (maybe still will @ a later date!) but from what you have said and taking into account SQ firstly I think I will be torn between the P51 Mustang and the TTVJ if it can power the Sony Z1000’s just as well. (amp only on your observation vs the DB1 dac). Well the TTVJ is clearly the bigger sounding amp compared to the Mustang, if that would make decision making any easier. 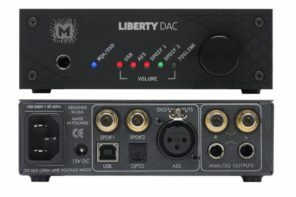 Forgot to add I have the iBAsso DB1 dac also and wondering will I need to look at a all in one like the TTVJ with built in dac or can I still incorporate any of those other SE amps well with theDB1 without having to worry about getting another dac? I think the DAC is fine, James. Well the TTVJ is clearly the bigger sounding amp compared to the Mustang, if that would make decision making any easier.——————————————————————————————————————————Thanks Mike, that does make it easier somewhat, in my mind the TTVJ is edging it to be the one. Only trade with the TTVJ is general is the conservative battery life (especially when compared to the Mustang! )Still feel the urge I need to check out the P51 also at some point out of curiosity with everything that has been said about this little amp. Alright James, let me know which amp you finally end up getting. Personally I like the Mustang better due to the small size. But again, the sound is smaller than the TTVJ. Thanks for the compliments. The TTVJ should be great. It’s slim, fairly portable, and the sound is great. As for the USB DAC option, get it if you gonna be listening to music on your computer. Thank you Mike for your answer. Of course I just ordered TTVJ slim + USB DAC + Cablepro earcandy lite idoc (i trusted the constructor.. i bought everything from ttvjaudio online). I hope I did not mess dough because I didi not order the Alo low rider..no idea what it is but I hope it’s not a vital part of the DAC). This is a “new beginning” into the hi-fi music; all thank to your passion and that of other audiophiles posting on this wensite; all this contributed in “turn on, again, my passion for the Music”. So long..thankyou again and…I bet I’ll be back ;-). Awesome, Gio. Let me know if you have other questions. What do you think would be a better match for the HD25-1 II, the RSA Shadow, the RSA Mustang, or the TTVJ Slim? I’ll be feeding it with an iPod Classic (160gb model). Either the TTVJ or the Mustang. I think the output level on the Shadow would be a little limited for a headphone. Which do you think would be best for mainly electronic music and hip-hop? Which of the tiny amps to match with ACS T1’s? I’ve only had a brief time with the T1, but you can try the RSA Shadow. Sorry Mike, it’s one of the slim amps that I’m interested in matching with my T1’s, not the tiny!Which is the best match of these? Either the TTVJ or the ALO. I’m leaning towards the ALO since I think the T1’s bass can be improved. I’ve also been eyeing the JDS Labs C421. Is that almost in the same league as the ALO & TTVJ, for much less outlay, as I’ve read? Ah, yes the C421 is very good too and currently is my favorite. I just wasn’t thinking about that since I thought you were asking within the context of this article. Hey Mike, which amp do you think will be a gd match to improve the W4R? I’ll be using it with an iPhone 4S, and “pocket-a-bility” is important. I’ve shortlisted the pico slim and alo RX. Do you recommend those or anything else? I’m slightly concerned with the RF interfences reports with the alos, or will one of those RF stickers fix that? Sorry I’m not too familiar with the W4R, last Westone I listened to was the W4. Hi! Which of these amps sir do you recommend to pair with the HD25-1 and/or Marshall Major? Thanks! Try the RSA Mustang. It’s small and it got plenty of power for both headphones. All right thanks! Another question. Regardless of the price, would you still recommend it over the Fostex HP-P1? Well the Fostex comes with a DAC so that’s gotta be a plus point, right? The amp section, however is quite weak.. I haven’t quite compared the Fostex built in amp to the Mustang, so I can’t be totally sure, but my feeling is that the stand alone amp would win to the Fostex amp. All right sir thanks. I am in no rush to buy as of now. I am happy so far with my current setup. I’m still thinking if I need a new headphone or a new amp. 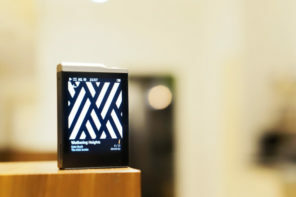 I currently use an iPod classic + Algorhythm Solo + FiiO E11 + Westone 4. All music is in Apple Lossless format. I seek suggestions on how I could improve upon the above setup. My current setup is iPod classic + algo solo + FiiO E11 + Westone 4 with regular cables. All music on iPod is in apple lossless format. I seek advice on how to improve the the above. Improve the amp section. There are plenty of amps to choose from, Krishnan. Wanted to put in an update. I bought a ALO RX MK2 to replace the FiiO E11. The sound now is a whole lot cleaner and crisper. I am leaning toward the RSA Shadow for the SE535. Hi I have the JH11 Pro and thinking of getting HP-P1/Algorhythm solo, which amps would you recommend to go with this set up? Preferably, also able to drive the HD 700s too because I have pre-ordered them..
Hi Mike, my current setup is teclast t51>headstage 3g>westone4 and I’m not satisfied… how can I improve my music…sud i change amp…or dap? or wat is a better setup? thank you for your suggestion. I want to upgrade my IEM. 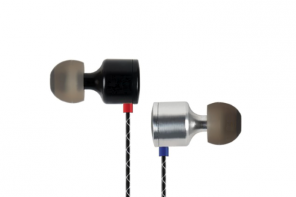 personally I think about westone 4, do you think that I will be satisfied ? If the amp is too dark, why not change the amp? What IEM are you using now? it’s dark to me, I think that ipod touch 3g is better. do you think that I need to change the amp? ttvj is not so big? It’s probably easier to get a brighter sounding IEM. Say the Fischer DBA-02. 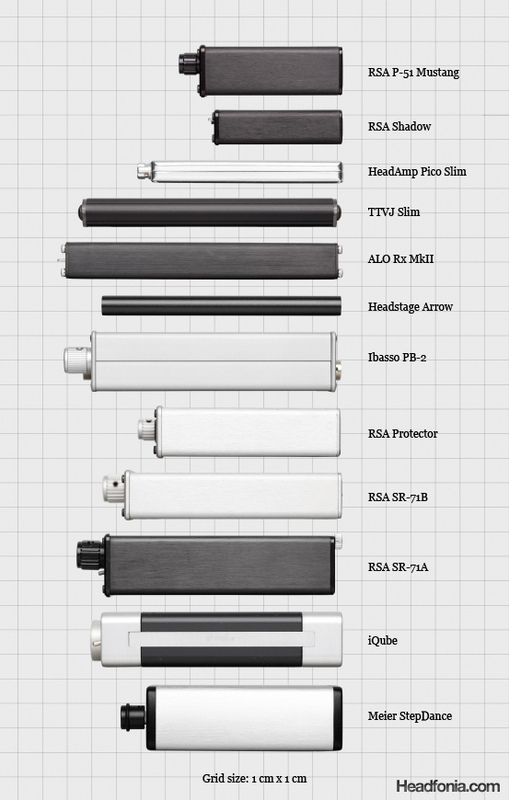 do you think that DBA-02 is on of the best choice? The DBA-02 is more popular than the Grado GR10 and the CK100 so I think it’s a safer recommendation. The GR10 is good but somehow lacking any special aspect. the CK100 is quite polarizing, I wouldn’t recommend it unless you can get an audition. Question: I have a Shure se535 + a Grado sr325is headphone and am recently taken interest in the RSA amp line-up to get a better music experience from them. With portability in mind- can you help advice if RSA Shadow or Mustang will be able to drive both output with high efficiency and result? The Mustang if you’re gonna use the Grado. The Shadow is quite limited, afraid you can’t get enough loudness. Time to update since so many great amps have been released or updated. Yes for sure, Steve… I will do that when the opportunity comes up. I’m using the JH11s and I’d really like to audition the Pico Slim, but I have no idea how to make that happen. There aren’t any portable amp retailers in my area, so are there other way to audition things (i.e. a “test drive”)? Nothing that I can think of. Find a head-fi meet? Yeah ok, I figured as much. Guess I’ll have to take my chances on something! I’m looking for a portable amp with DAC to power my westone 4’s. I’m looking to add a tubish quality (warmth) to my music as well as enhance instrument separation and soundstage. Tighter bass is always welcome. I’m quite happy with the mid-high range i get right out of my iPhone or macbook (although it just doesn’t feel analog enough for my taste, if that makes sense). I’d appreciate any recommendations. Just to update you on some advice you gave me 6 months ago on amps to use with Sony X walkman – JH16’s & Sony MDR-Z1000’s. Been bit of a delay but have finally picked up the TTVJ Slim from someone I know and is is the non dac version but have to say it was worth the wait as I am currently still without a desktop rig this is the best I have heard my MDR-Z1000’s since I have had them and despite those cans meant to be efficient to drive @ 24ohms they sounded as if they was lacking sonically even with my new Z series Walkman and now the TTVJ Slim has defined to me the Z1000’s are a keeper. The Slim is just what I was looking for and is a tad more fun to listen to than my old PB1/DB1 set up. So thank you for the past advice/ direction in making an informed decision that has been worth the wait but now I have the Slim (non dac version) I just have to ask one final piece of advice; What external portable dac would suit the TTVJ Slim as a good partnership? I had the DB1 Boomslang originally and was impressed with that when it was in conjunction with the PB1 but am not sure what other alternatives there are other than the DB2 that have the ability also with both optical & Coax digital input as well as usb for use with my laptop. I am not on a budget as such so just want a dac that has the above digital inputs that can pair well with the TTVJ Slim. I’m glad to hear that you are enjoying the TTVJ! 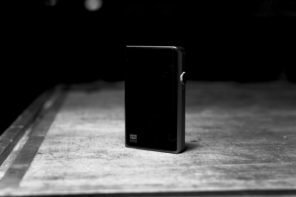 On the topic of portable DACs, what player are you using? You know that the Sony X can’t be plugged in to a separate DAC. I should of clarified a bit more clearer, the dac will be for use with my HP Envy laptop which has the el-crappo Beats audio installed and then I will use my Arcam FMJ cd player via Coax which could be a Meridian 24bit G08 player later on. Then you never in the future could go down a Hi-fi Man/ DX100 route…. A bit confusing there. 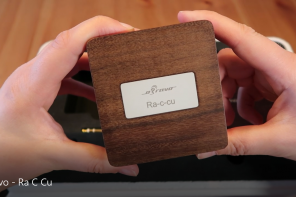 If you are going to use a Meridian G08, why are you even considering these Ibasso DACs? Sorry Mike, long day @ work yesterday!, was meant to say I will use it with my cd player (arcam FMJ) until I get a Meridian G08 (not sure when that could be though) but ideally need the dac to have coax/optical as well anyway for if I go for a premium dap later. So this is for a desktop set up yes? If it’s so I would recommend you to look into something desktop-based like the Cambridge Audio Dacmagic. I’ve never tried the DB2 DAC, but from my previous experience with Ibasso portable DACs, I don’t think they are good enough to take on the $300 level desktop DACs. I ideally needed a portable dac for when I take my laptop on my travels but yes I was looking at also getting a nice desktop dac later on with a budget up to £1K. So portable dac wise there is not much to choose from then?. Desktop – Dac magic looks intriguing, have you had experience with the Audiolab M-dac which also has a built in headphone amp also? Sorry I haven’t auditioned the M-DAC til now..
Ok, Thanks Mike, I will audition the Dacmagic in the near future anyway along side the M-Dac. There’s a lot to choose from, Stephen. I think something small like the RSA Mustang. How about the Sennheiser HD25-1 II with an Ipod Classic? Would that change your opinion on ‘somthing small like the RSA Mustang’? Will the Alo Audio National be better than the Mustang? I listen to mostly: Pop, Rock & Alternative. 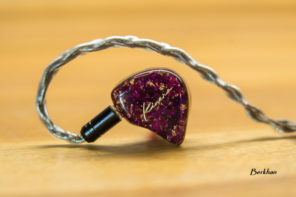 Which of these would you recommend for the JH5 custom Pro In-ear monitors? I like the JHs best with the Pico Slim. How about Universal fit IEMs? Would you still recommend the Pico Slim? It would depend on the IEM. Some people pair bright IEMs with dark amps and so on. Now I have the HRT Music Streamer II, which amp would you recommend for the Ultrasone Pro 900? Under $500 would be ok. Since I will use it at home, either desktop or portable one would be accepted. From this article, I think SR-71A, P-51 and TTVJ slim are good for pro900 but I’m not sure. So I wanna ask for your recommendation. SR71A is best, but no rechargeable batteries if you can live with it. P51 I think doesn’t have enough impact power for the Pro900. The TTVJ Slim can be a good pairing. I will have a chance to try both SR71a and P51 soon. Hope I can also try TTVJ slim in the future. Which one would you recommend for the Westone 4R? I listen to mostly: Pop, Rock & Alternative. You need bass impact with the 4R right? I’ve only listened to the Westone 4 and I think the main problem is bass impact. Try the RSA Shadow. Small, precise volume control for IEM, good bass. Thanks for reply. Just wondering, are there any other cheaper portable amplifiers that would help the Westone 4R for Pop, Rock & Alternative? Yes, the bass is lacking. The Shadow should help, but I doubt it can add that much bass. What I am talking about here is the bass punch. I find the W4 to have very weak bass punch. Are there any other cheaper portable amplifiers that can suit the Westone 4R? Which tiny amp would you recommend for the HD25s, the Shadow or the Slim? I’m deciding between the ttvj slim and the pico slim to go with my JH16’s and the Iphone 4s. Do you think the TTVJ slim amp is a better choice? I think you should look into the RSA Mustang. It has a really smooth and lush mids. There are a lot to choose from. The RSA and ALO portable amps should be a good match, but all the amps on this article are upwards of $150. Hi Mike, Your website is truly amazing though my credit card would disagree. From a technical viewpoint, why can’t someone build a USD100 portable DAC that can take a signal from an iDevice’s LOD and feed it into a portable amp? Right now I use a HRT iStreamer with my headphone amps but I can’t venture too far from the wall wart! I’m sure you’re right and if HRT can build that into the cost of their iStreamer, I agree that Fiio can do it for less. Go Android. USB Audio support with all Jelly Bean updated devices. I really don’t know if that can be done. One thing we don’t have an idea on is the amount of money Apple demands from manufacturers before they get access to tap the iDevices’ digital data. As time goes and manufacturers come out with more affordable solutions, I think we’ll be able to see how low you can build one for. Hey mike, just wondering your preferences for portable amplifiers for the T70 250 ohm? I didn’t spend too much time with the T70 250 ohm, but it would probably be something with a good bass weight like the ALO national. still confusing which amp is the best for my HD6500? headstage arrow, RSA 71A, alo rx MKii, Ibasso PB2. can you recommend me with the exception of price and size of the amp. How does the DACport feeding 2Stepdance (sonically similar to stepdance) compare against the DACport feeding Leckerton UHA6s MKII? Which amp would you pair with the JH16 Pro? Would you please be so kind to recommend anything for Sony MDR-MA900? I would go with the RSA or the ALO amps. The portaphile is also good. If you’re on a budget try JDsLabs. The SR71a will still be better. Great article Mike! I have a pair of Shure SE535’s, not overly pleased by the fullness / warmth of the bass. What gear would you recommend? Here is an extremely creditable review about the Creative Sound Blaster E3. Check it out!